I have advocated for a change in Illinois law to permit bicyclists to take the "slow and go" approach (sometimes called an "Idaho stop") with regard to stop signs and traffic lights. Presently, bicyclists in our state -- like motor vehicle drivers -- are required to come to a complete stop at traffic control devices. 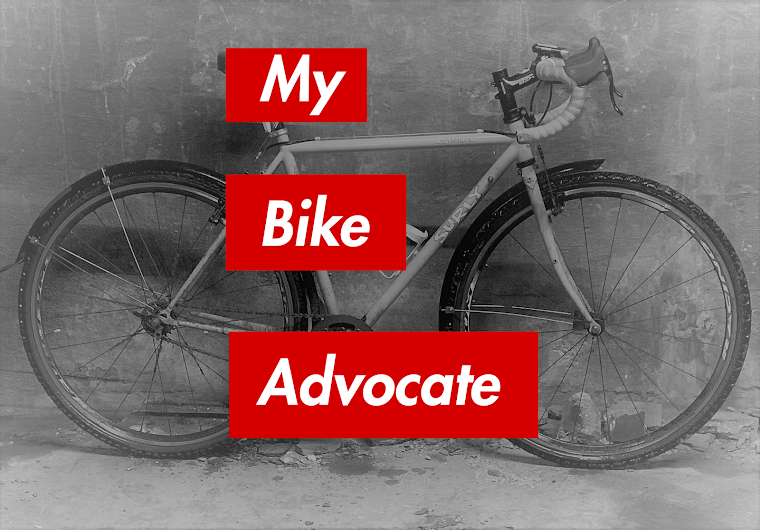 However, as I argued in August, the current state of the law does not reflect how bicyclists should reasonably be expected to operate on roadways, especially in crowded urban settings . One objection to enacting an Idaho stop law in Illinois is that bicyclists should not receive special treatment. They are indeed treated by our law as "vehicles" and one might argue that all vehicles should be subject to the same rules. The driver may argue, If I have to stop so should Joe bicyclist. That position is not without logic. But in the city, don't motor vehicles usually slow and go themselves; at least at stop signs? The amusing video posted below (which I found at chicagobikeracing.com) reflects how city motor vehicle drivers tend to approach stop signs. I am not suggesting that stop signs be effectively turned into yield signs for motorized traffic. But let's stop pretending that "slow and go" is something radical. We all do it, motorists and bicyclists. I submit that for bicyclists the law should permit this practice. It is much easier for a car, truck or bus to come to a complete stop then proceed forward again. Unlike bicycles they do not rely upon the strength and physical dexterity of the operator to move. Also, bikes do not pose the same hazard to other roadway users and pedestrians that motor vehicles do. The risk of permitting bicyclists to adopt the Idaho stop is far less than permitting cars and trucks to slow and go. Finally, in crowded urban settings bicycle use should be encouraged as a means for getting around. They do not pollute the air and provide significant health benefits for the bicyclist. Permitting the Idaho stop may make the riding experience more pleasant and thereby encourage more folks to peddle to the store and to work. Because I was bored I decided to count. This video is from Rittenhouse Square in Philly. I am guessing that if someone did the same experiment at a busy intersection in Chicago that the results would be roughly the same. And more fodder here. All taken in one hour. The narrator also talks about the energy requirements of starting and maintaining speed.